Homebuilding Team or Independent Contractor? When first looking at building a new home, many of us are unfamiliar with the complexity of the finished product. Unseen costs, delay of schedule, and other intricacies can turn what should be a pleasant and enchanting life event a nightmare. Because of these potential pitfalls, it is essential to be careful when selecting the builder of your new home. The vast majority of new homes are built by one of two different entities: homebuilding teams and independent contractors. While both homebuilding teams and independent contractors have many advantages and disadvantages, we will be looking at four reasons why you should use a homebuilding team instead of an independent contractor. One of the most apparent advantages of using a homebuilding team in the short term is the overall costs associated with production of the home. When you use a homebuilding team, you are tapping into a systematic approach to homebuilding. 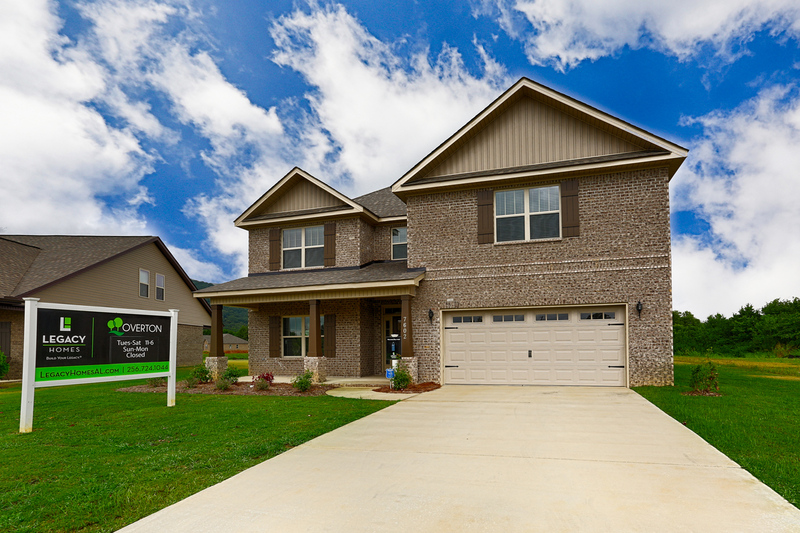 Homebuilding teams such as Legacy Homes have a shared collection of experience and expertise that translates to savings in many aspects of the home production process. From sourcing materials to hiring dependable labor, homebuilding teams like Legacy Homes save you money on many of the finer points in the building process. When added up, these small individual savings can mean significant savings in the final product. In the long term, homebuilding teams such as Legacy Homes can also save you a significant amount of time and money in repairs and other expenses related to low quality work. When you hire a homebuilding team, you buy confidence in the team’s ability to get the job done right. When hiring an independent contractor of questionable experience and standards, the likelihood of your home being well put together can be a tossup. Afterword expenses such as a poorly designed plumbing system, house settling, and flooding due to improper drainage can all run up a bill. Another great benefit of using a homebuilding team instead of an independent contractor comes from the brand-specific features that many teams provide. Specialized home designs, multi-point construction systems, and energy-efficient technologies are just a few features that set professional homebuilding teams apart from independent contractors. These features add value to the product of construction and that value translates to your wallet and overall satisfaction with the home over time. Support and the ability to follow up with promises made to the customer are what professional homebuilding teams are known for. Given the option between a homebuilding team with a long track record of reliability and an independent contractor who may or may not deliver on time, it will likely be to your benefit to go with proven reliability. Being kept up to date on construction milestones and completing construction on time reliably are where homebuilding teams often set themselves apart from independent contractors. Customer service is another area where a homebuilding team can really stand out in terms of reliability. A team of individuals can logistically be ready to engage in dialogue on a much wider margin of time than a single independent contractor. Individual contractors, especially those who works multiple projects at a time, generally have much less time to interface with clients than teams do. All things considered, there are many advantages to hiring a homebuilding team instead of an independent contractor for your next home. Scale is an important factor when it comes to the subjects discussed. Whether it’s overall cost, features, or reliability, using a homebuilding team can pay you back in dividends. Buying a new home is already a crazy and stressful process, so why burden yourself more than you need to? A fixer upper may sound like an exciting project at first, but many people fail to realize the work, cost, and stress that comes with it. There is no reason to turn your stressful situation in to a nightmare. While you may pay more upfront for a turn-key home, you know exactly what you are getting yourself in to. There is no chance that you will have to start tearing down walls and pulling up floors, slowly watching your new house turn in to a dreadful money pit. An article on Forbes.com discusses the pros of new appliances, heating, and plumbing, stating “you should be repair free for at least a few years.” This aspect reduces your initial costs for a while, and your wallet and sanity will thank you. Many first time homebuyers are unaware of the financing process that comes with buying a home. It is much easier to gain financing for a turn-key home than one that needs a lot of work. This means that your paperwork and loans will be completed much faster, leading to a stress free move-in date that better suits your family. While some people think older homes are charming, they do not have a lot of the practical space or storage that we are used to. Old houses have small rooms, even smaller closets, closed off walls, and a lack of sensible space. New homes keep the modern age in mind, and make sure you can easily fit your friends, family, and wardrobe into your new house. Newer homes keep your electricity, heating, and cooling bills in mind. Older homes are not equipped with the updated windows, insulation, or other energy saving devices that your home needs, and a lot of energy (and money) is be wasted. According to Zillow.com, “more efficient insulation and windows create buttoned up homes that are less expensive to heat and cool than older models.” Every penny counts, and an old house puts you at risk for a sky-high utility bill. Think of it like this: You buy a fixer upper. You are so excited to move in to your new home and make sure your family is comfortable and settled. But little did you know, for the next four months your cozy family home is a construction zone. You sold your old house and are forced to live in this dusty, loud place until the work is done. This bothersome process can be easily avoided by moving straight in to the comfortable home you knew you were buying. There is no buffer time to make sure everything is right, and you can begin your new phase of life as soon as you are handed the key. Still not convinced? Angie from Housebeautiful.com shared her fixer upper horror story and the disasters that ensued. She said, “We were removing 1970s wood paneling that had been layered on top of a old lath-and-plaster wall in the stairway. The first few panels came off okay, but after prying one stubborn piece down, we accidently ripped a softball-size hole into the wall! Next thing we knew, all of the blown-in insulation was pouring out. We later learned that there was no stop between the first and second floors, so the insulation for the second floor poured right out, too!” What a nightmare! From what you’ve read, is turn-key sounding like a good idea after all? Let Legacy Homes find your best turn-key home solutions in the Huntsville/Madison area. Contact us today!